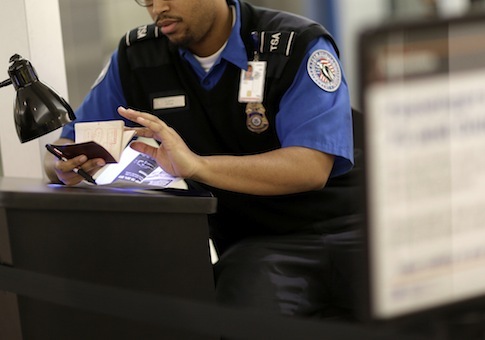 The Transportation Security Administration, traditionally known for its airport screenings, has been expanding its surveillance reach to major events and other transportation sites as part of a broader strategy to deter terrorist acts. While TSA officials say the screening operations are a vital aspect of the nation’s counterterror strategy, critics counter that they raise privacy concerns and lack transparency and effectiveness. The TSA developed Visible Intermodal Prevention and Response (VIPR) teams in 2004, partially in response to the 2004 terrorist attacks on commuter trains in Madrid that killed 191 people and wounded more than 1,800. VIPR teams have since conducted more than 40,000 unannounced, random operations at airports and various other locations, including bus stations, train terminals, highway weigh stations, and major events like the Indianapolis 500 and the Democratic and Republican national political conventions. The more than $100 million VIPR program has increased its number of teams from 10 to 37 since 2010. The teams, which include federal air marshals, explosive experts, bomb-sniffing dogs, and baggage inspectors, partner with local law enforcement to conduct the screenings. VIPR team members assist local officers and do not pat people down or search their bags, according to spokespersons for the TSA and the Washington Metropolitan Area Transit Authority (WMATA). Some don body armor while other specially trained undercover members wear plain clothes to monitor crowds for suspicious behavior. Members of the Metro Transit Police Department (MTPD) in Washington, D.C., working with TSA screeners, "swab" the outside of passengers’ bags but do not open them, said Caroline Laurin-Lukas, WMATA spokeswoman, in an email. MTPD has "partnered routinely" with the VIPR teams in the past few years for security screenings, she said. "It is a quick, non-invasive screening for explosives only," she said. However, civil liberties advocates say the VIPR teams’ joint screening operations with local officers do not adhere to legal standards like probable cause and reasonable suspicion. Khaliah Barnes, administrative law counsel for the Electronic Privacy Information Center, a group that focuses on civil liberties issues, said in an interview that the potential security benefits of the VIPR teams come with a cost. "Of course if you have a system of mass surveillance you’re going to catch certain bad actors doing bad things," she said. Yet "we have to deal within the confines of the Constitution," she added. "We don’t get carte blanche to check individuals." TSA officials say the Aviation and Transportation Security Act (ATSA) and the Implementing Recommendations of the 9/11 Commission Act of 2007 confer a "broad responsibility to enhance security in all modes of transportation nationwide." They say TSA agents also adhere to the "administrative search doctrine." "The purpose of screening in surface transportation modes is the detection of items that pose a significant threat to the traveling public, like explosives," said Michael Pascarella, TSA spokesman, in an email. "To the greatest extent possible the duration and level of intrusiveness is kept to a minimum." Critics have also questioned the mission of the VIPR teams and the clandestine nature of their counterterror activities. The New York Times reported in August that a joint operation in April 2012 between TSA officers and Houston police and local transit police resulted in several arrests of passengers boarding and exiting city buses, most with warrants for prostitution and minor drug possession. "It was an incredible waste of taxpayers’ money," Robert Fickman, a local defense lawyer who attended a testy public meeting with Houston transit officials after the incident, told the Times. "Did we need to have TSA in here for a couple of minor busts?" Pascarella said information about specific instances where the VIPR teams prevented terrorist attacks is "considered security sensitive information." He said the teams remain committed to deterring terrorist activity despite reports that they have been more effectual in assisting local law enforcement with criminal arrests. "VIPR operations are an integral part of the DHS/TSA security apparatus in deterring terrorism and are a visible reminder of TSA’s commitment to the implementation of Risk Based Security Initiatives for the safety of our nation’s transportation systems and to the traveling public," he said. Barnes said the VIPR teams will continue to receive heightened scrutiny until they are more forthright about their counterterror operations. "We actually need to have some form of disclosure that ‘we stopped a terrorist threat’ as opposed to ‘we stopped someone for drug trafficking or prostitution,’ which is not their jurisdiction," she said. An August 2012 report by the Department of Homeland Security’s (DHS) Inspector General found that VIPR training programs "may not be sufficient" to help federal air marshals operate successfully in mass transit environments. Some TSA officials also told investigators that VIPR operation locations and timing "are not based on a risk-based methodology or credible intelligence." One team member said his team developed its own specific methodology for where to conduct operations that was not reviewed by TSA headquarters. Inconsistent guidelines for the VIPR teams reflect broader concerns about the federal government’s overall counterterror strategy, said retired Col. Andrew Jurchenko, a former military policeman and constitutional law professor and a reserve police officer in Georgia, in an interview. Jurchenko said the federal government has chosen easier, but not necessarily more effective, counterterrorism operations by deploying VIPR teams. "The easy way is to do what they’re doing now," he said. "The harder way is to get into these organizations, do your human intelligence and signal intelligence and actually ferret out these people." The consequences of another attack and the government’s response could be devastating for both U.S. national security and civil liberties, Jurchenko said. "If another 9/11 happens, you will not recognize this country," he said. This entry was posted in National Security and tagged Terrorism, TSA. Bookmark the permalink.